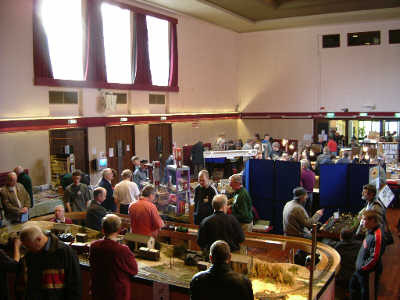 The club holds is annual exhibition in January at Harpenden Public Halls. The exhibition always has a good mix of layouts and trade stands and appeals to both families and model railway enthusiasts. Our 2019 exhibition was held in January and went very well. Many thanks to all those visited and exhibited. We hope everyone had a good time and hope to see you next year. In the meantine check our Open Days page to see details of events held at the club during 2019.